World Heritage Site of Luang Prabang - In 1995, a UNESCO report identified 33 temples and 111 Lao-French buildings in Luang Prabang as historically significant and the entire town was declared a World Heritage Site. This former Royal Capital of the Lao Kingdom is one of the most charming towns in all Asia. 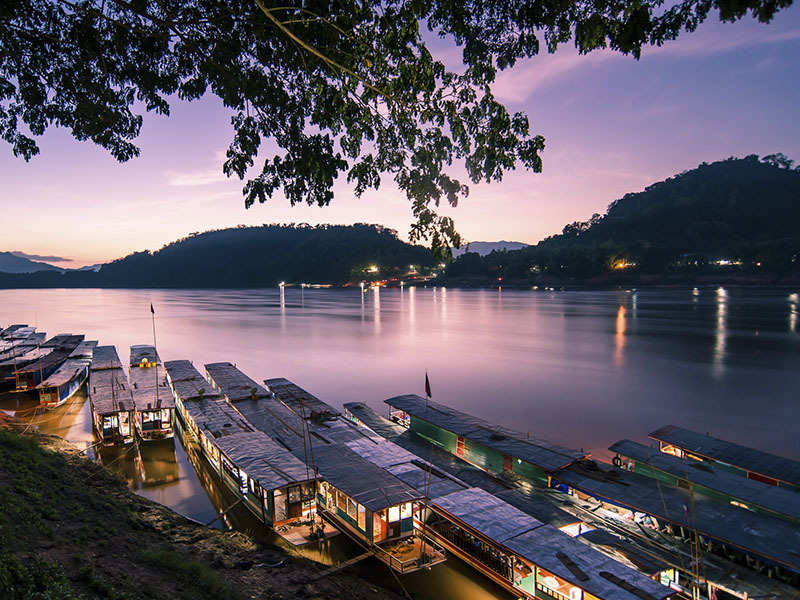 Situated in the mountains at the confluence of the Mekong and Khan Rivers, it is small enough to explore on foot, and shows a unique charisma of bygone days along with a rich cultural heritage. With it’s peaceful temples on nearly every corner, saffron robed monks strolling the quiet streets, there is charm and history at every turn. The local markets offer produce, as well as silver, and textiles produced by the H’mong tribeswomen. It is truly a step back in time. The Palace Museum was built at the turn of the century, and displays an intentional mix of Lao and French architectural styles, said to represent the link between the two countries. 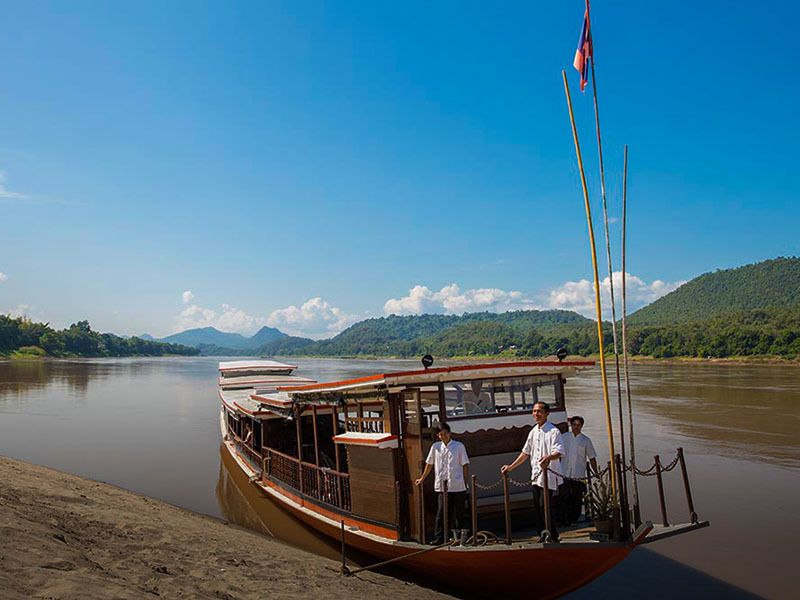 The site for the palace was chosen so that official visitors to Luang Prabang could disembark from their river voyages directly below the palace and be received there. In 1975, the monarchy was overthrown by the communists and the Royal Family were taken to re-education camps. The palace was then converted into a national museum. Wat Xieng Thong is the most historically significant and impressive of Luang Prabang's many wats. 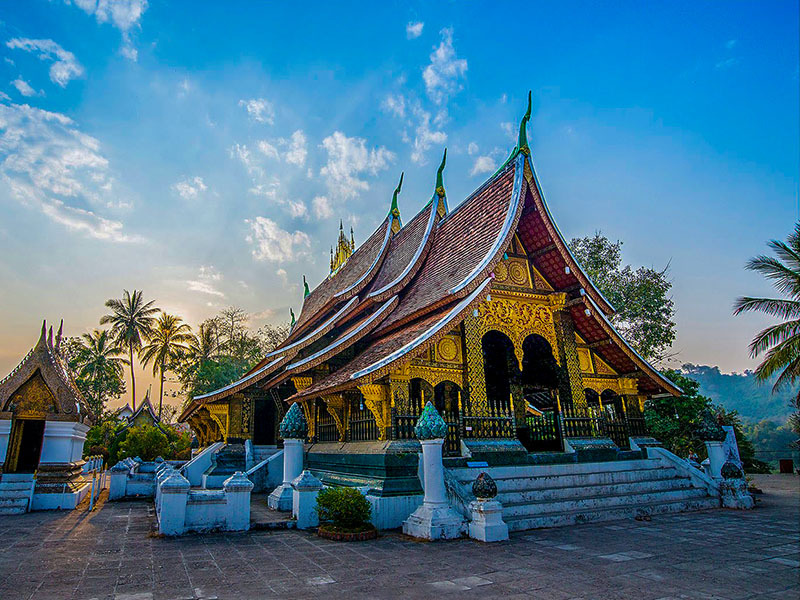 The low sweeping double-tiered roof and the rich interior and exterior decoration of its sim create an exceptionally fine example of the classic Luang Prabang style. The various chapels and other buildings make the entire monastery complex an architectural gem. This was the royal wat for four centuries, and the patronage resulted in the breathtaking craftsmanship still seen today. A favorite excursion from Luang Prabang is a boat ride to the Pak Ou caves. The journey takes you up the Mekong to a series of caves filled with Buddha statues. They were used for the worship of the river spirit until Buddhism spread into Laos along the southern route from India. And gradually, over the 60 decades, more than 4,000 Buddha images - mostly the standing Buddha of the Luang Prabang style - have been placed in them.